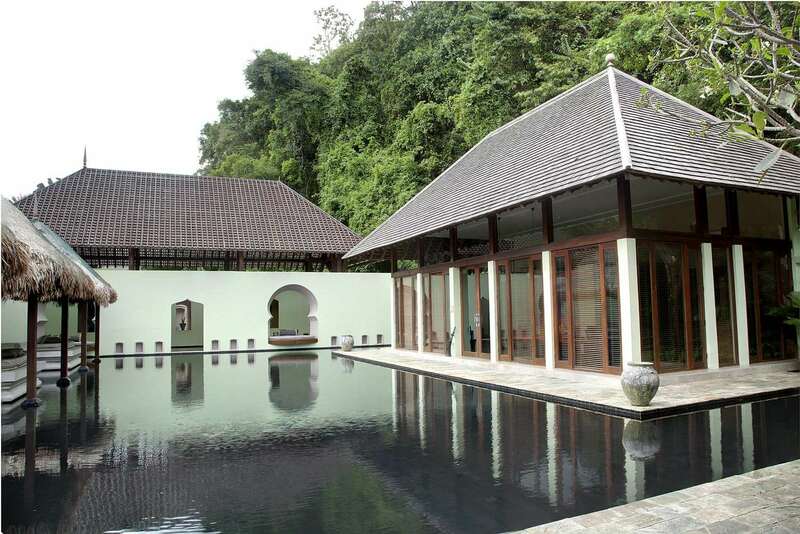 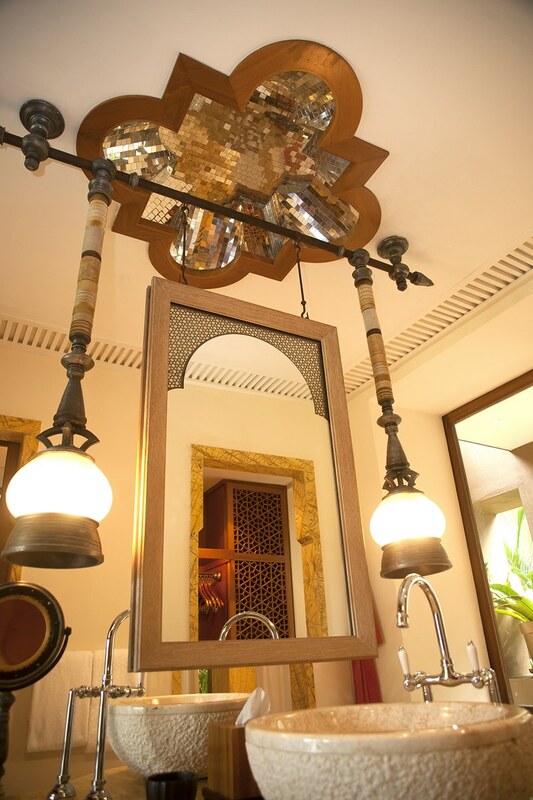 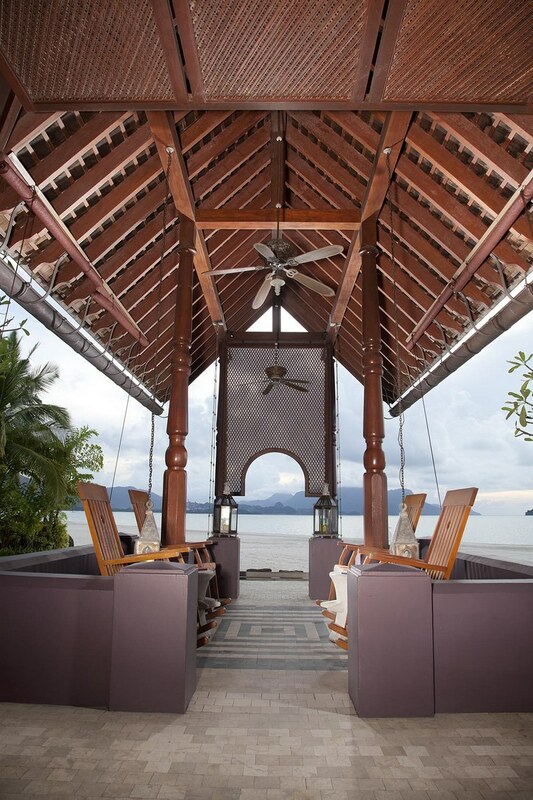 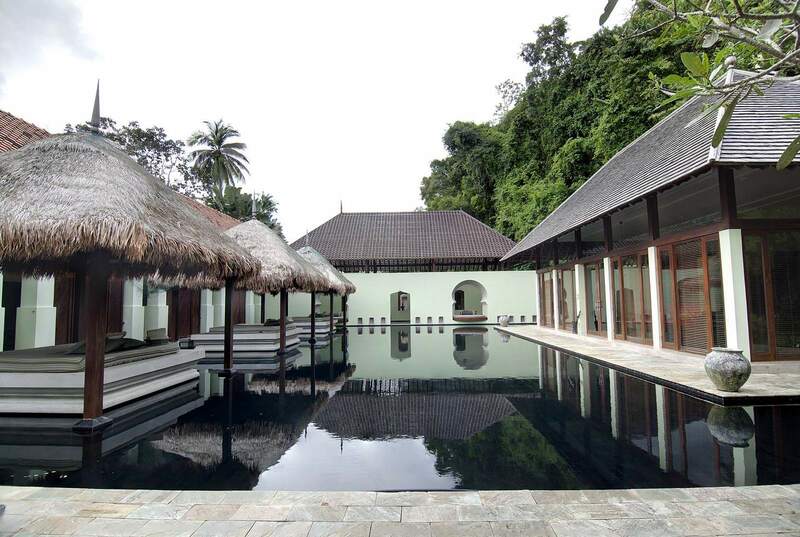 Inspired by the Alhambra Palace in Spain, the design of the Four Seasons on the Malaysian resort island of Langkawi is a combination of Moorish, Arabic and Indian influences in a Malay kampong setting. 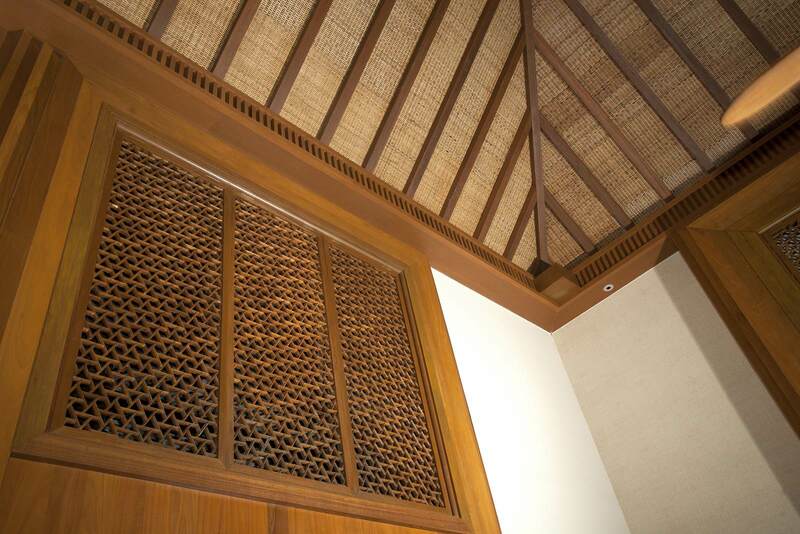 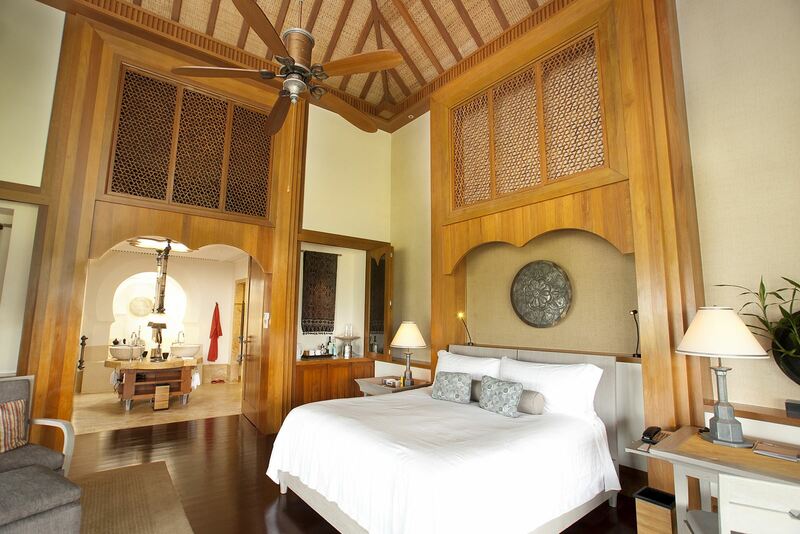 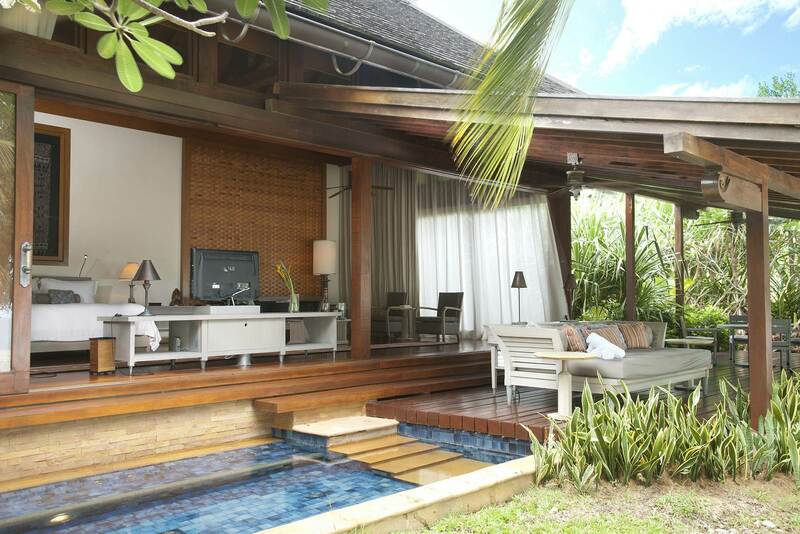 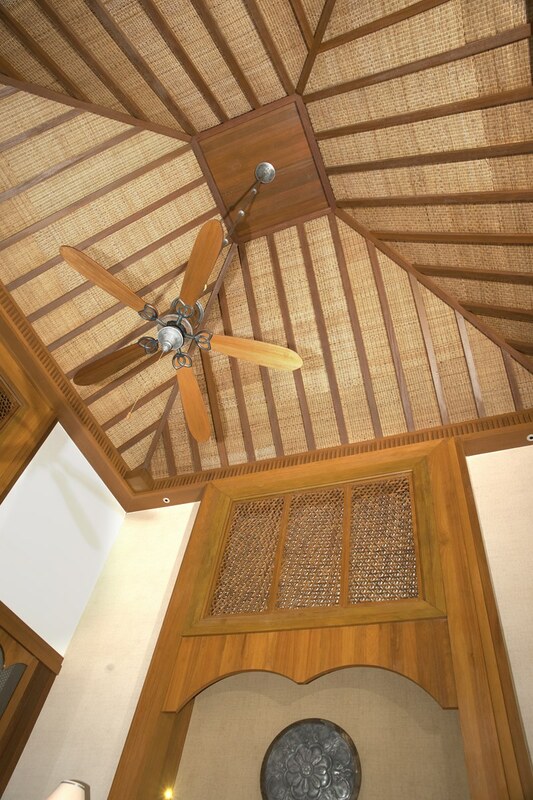 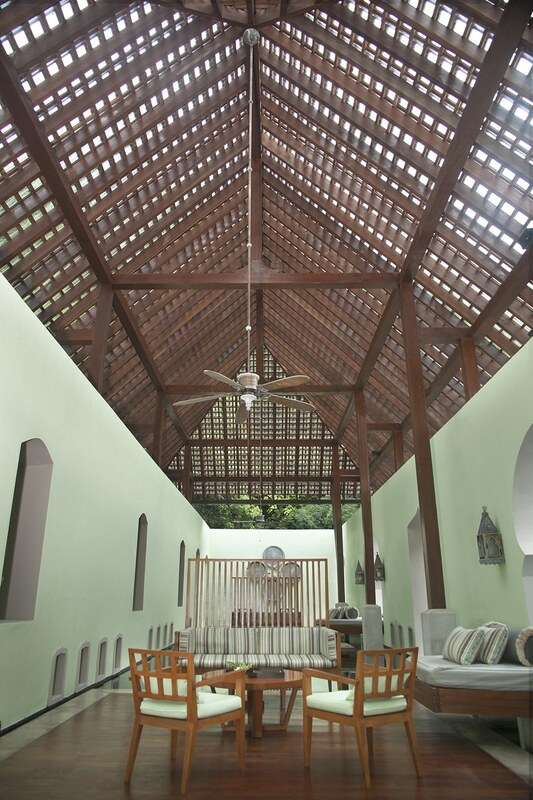 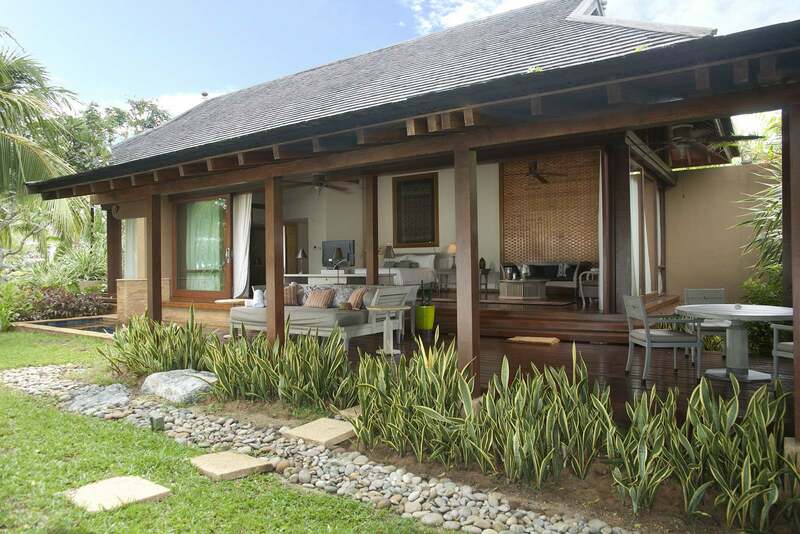 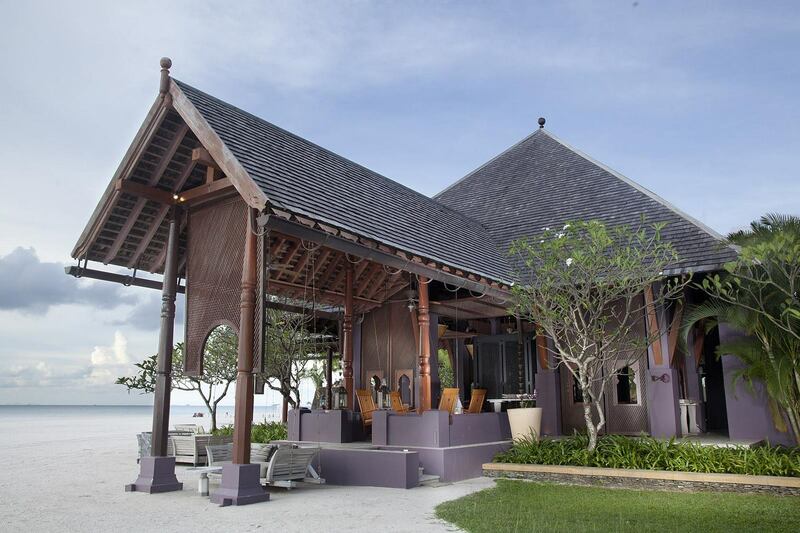 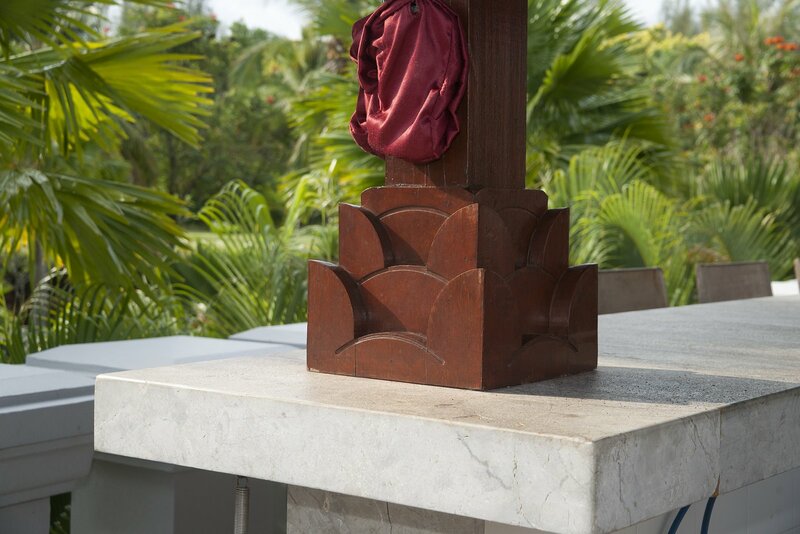 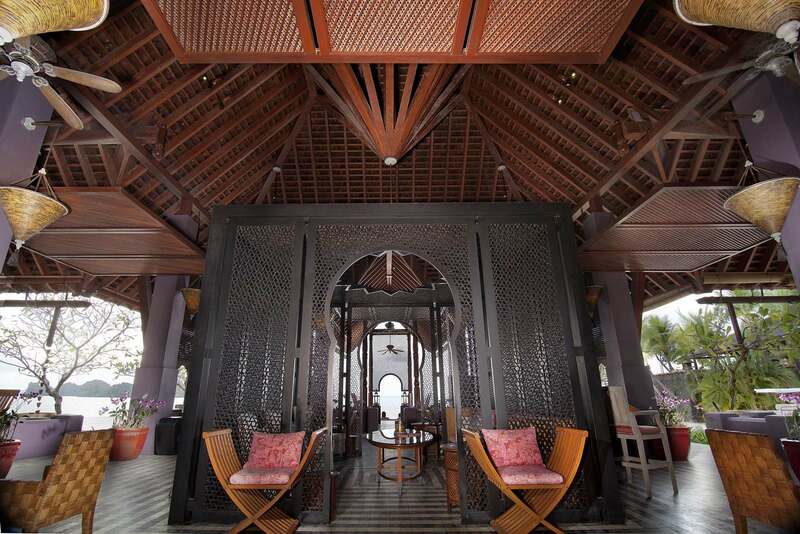 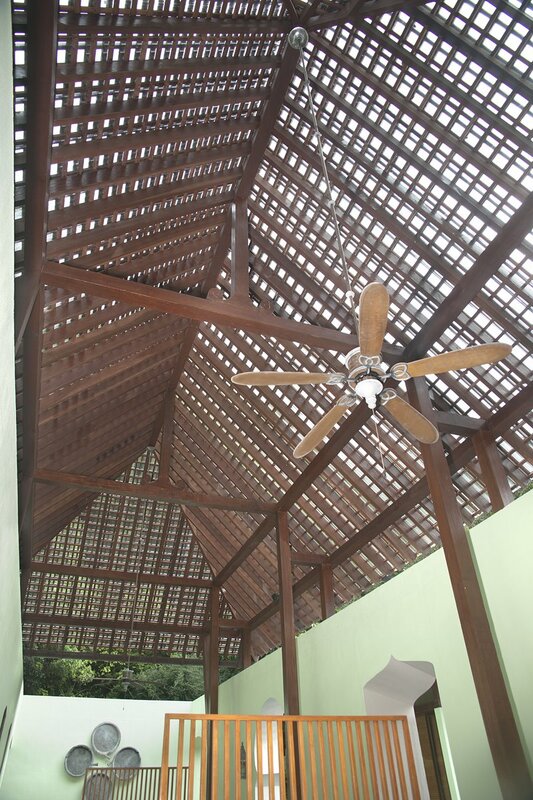 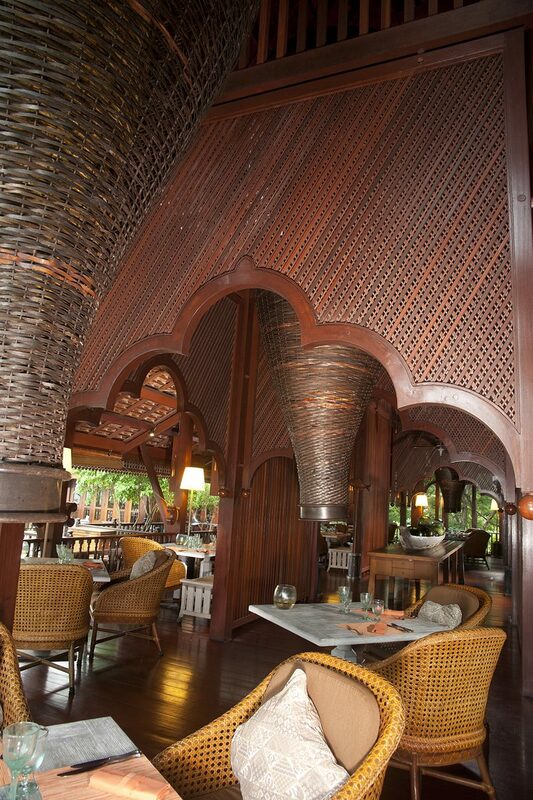 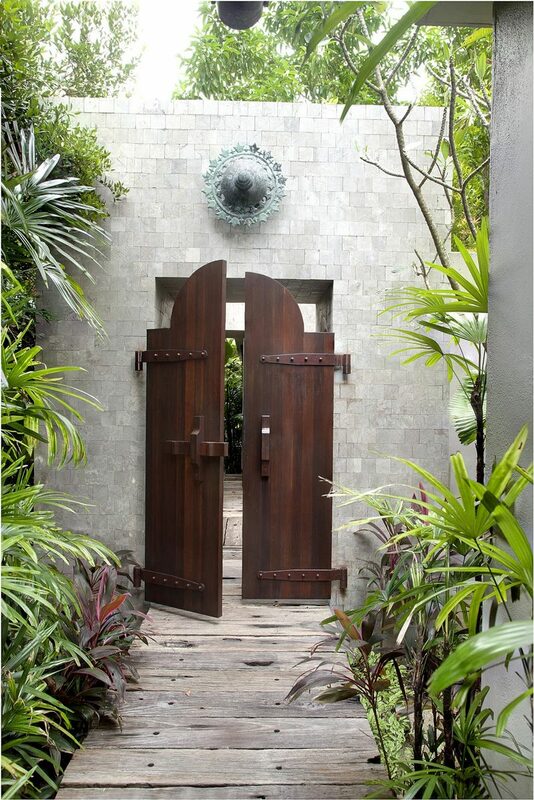 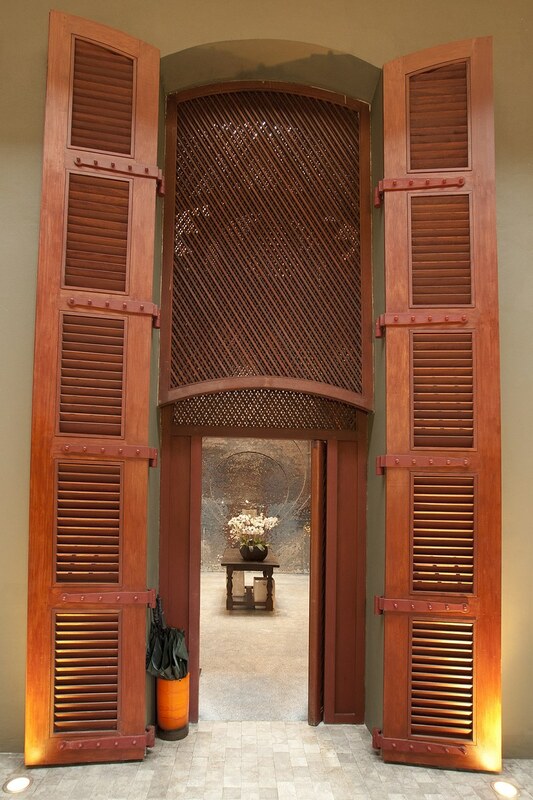 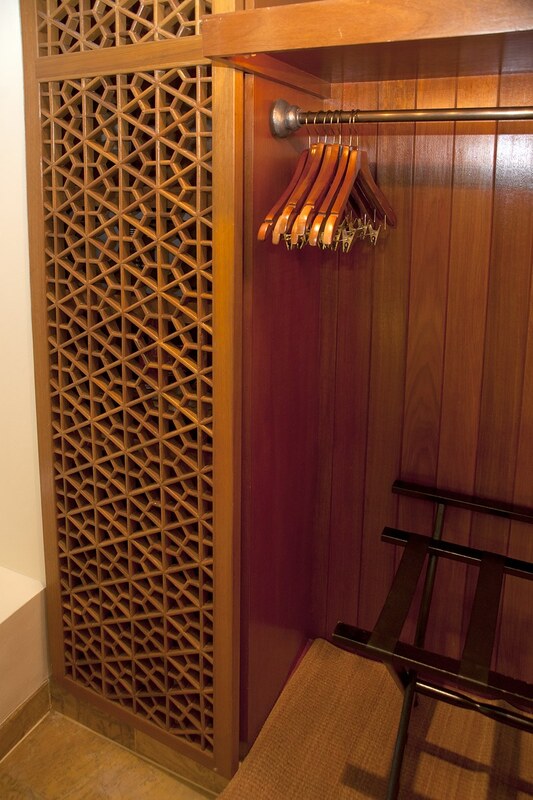 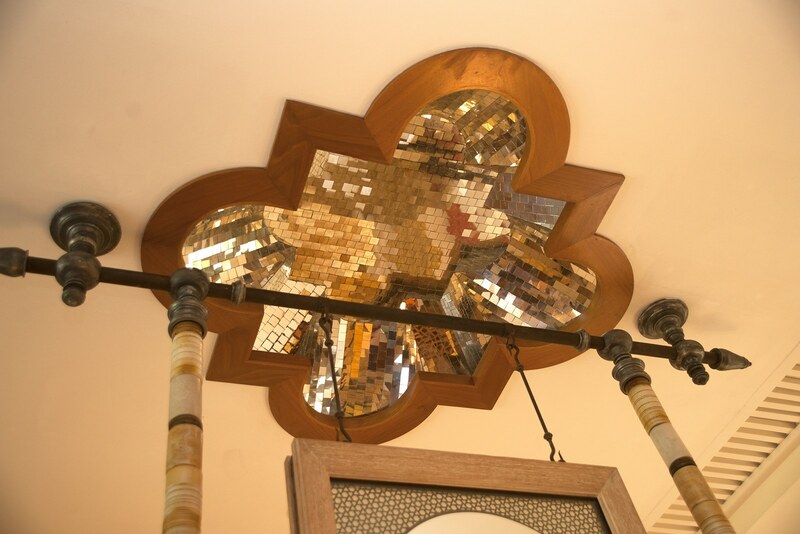 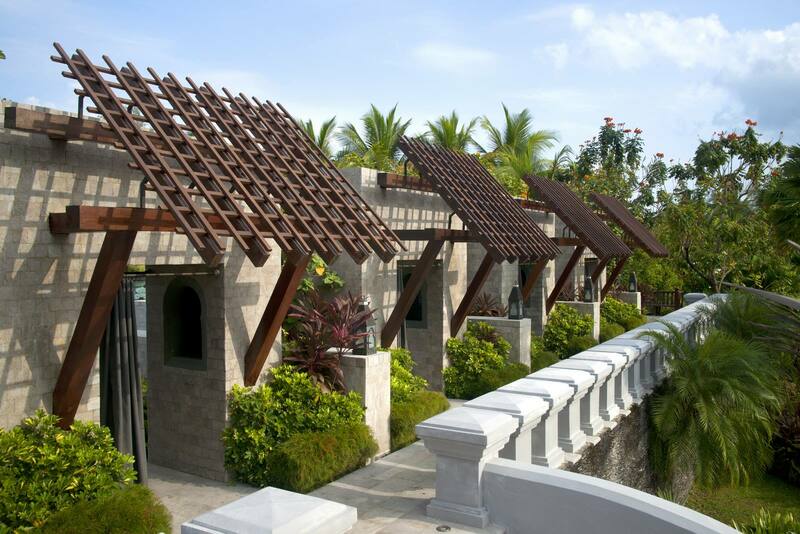 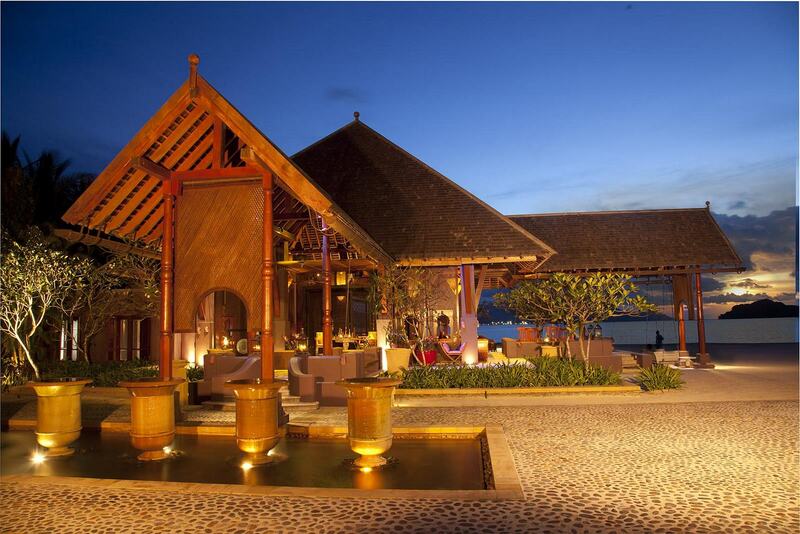 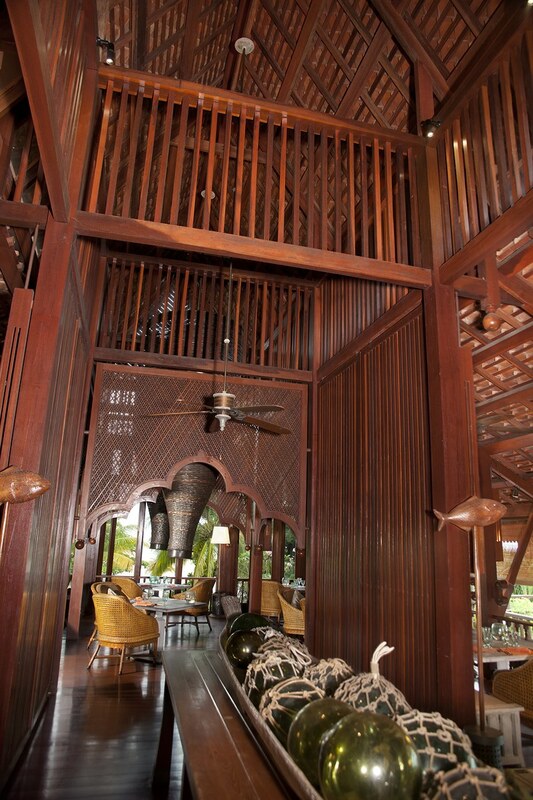 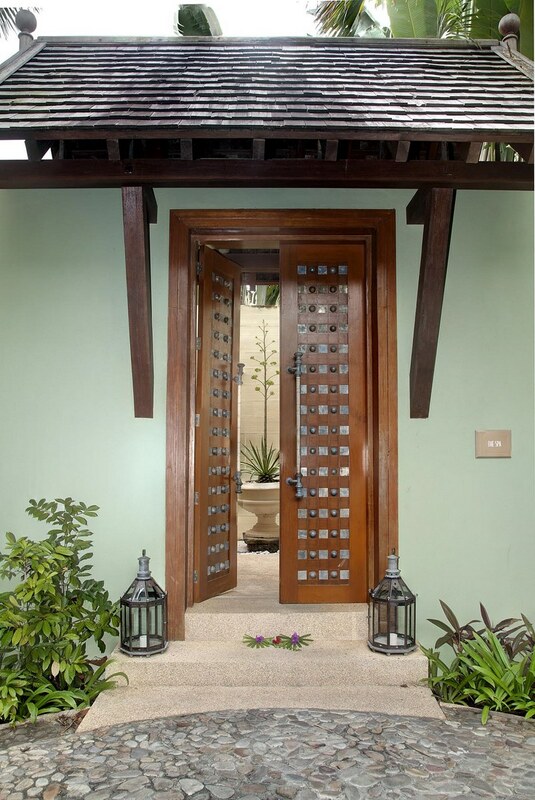 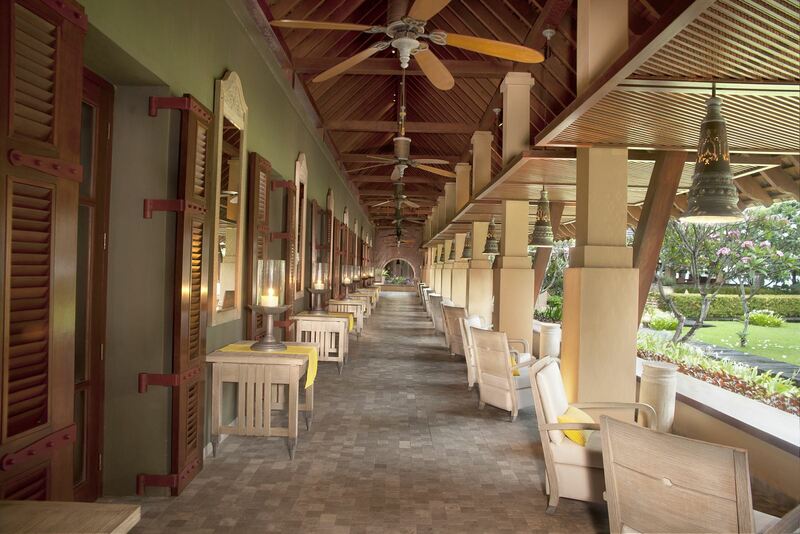 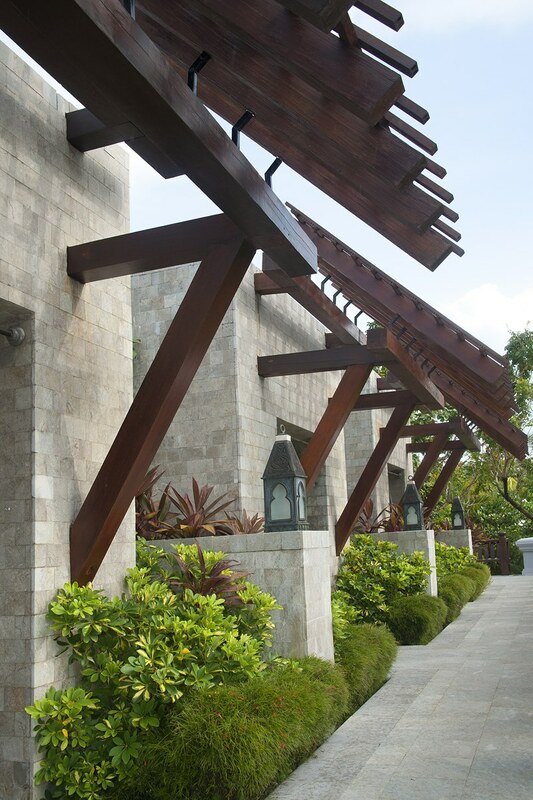 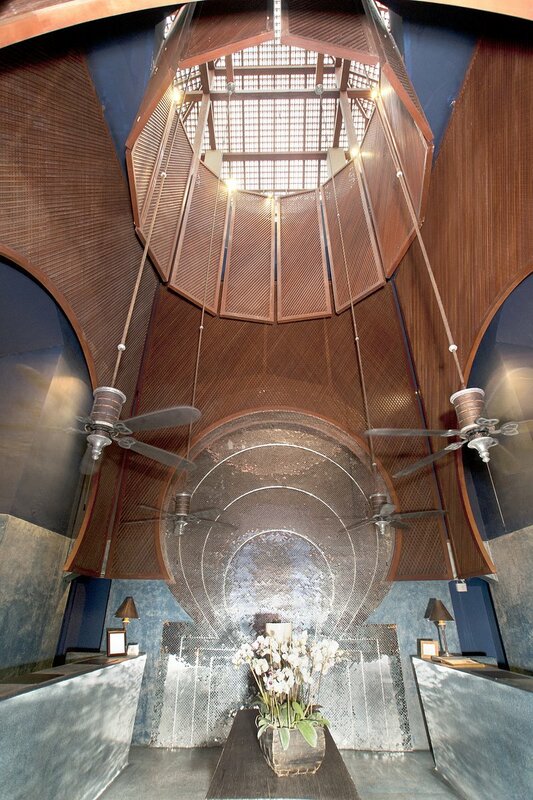 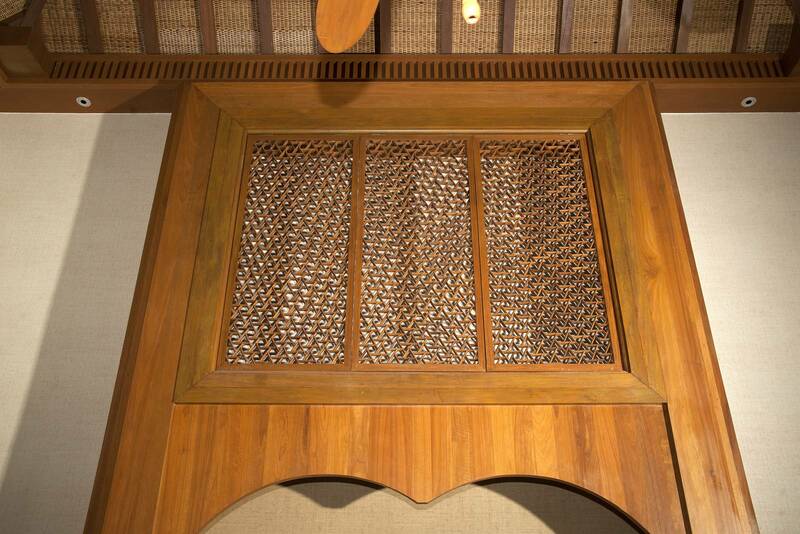 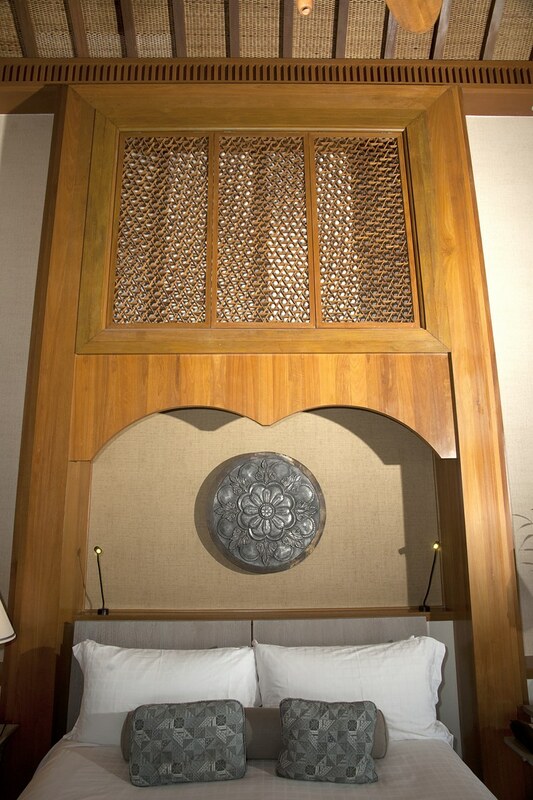 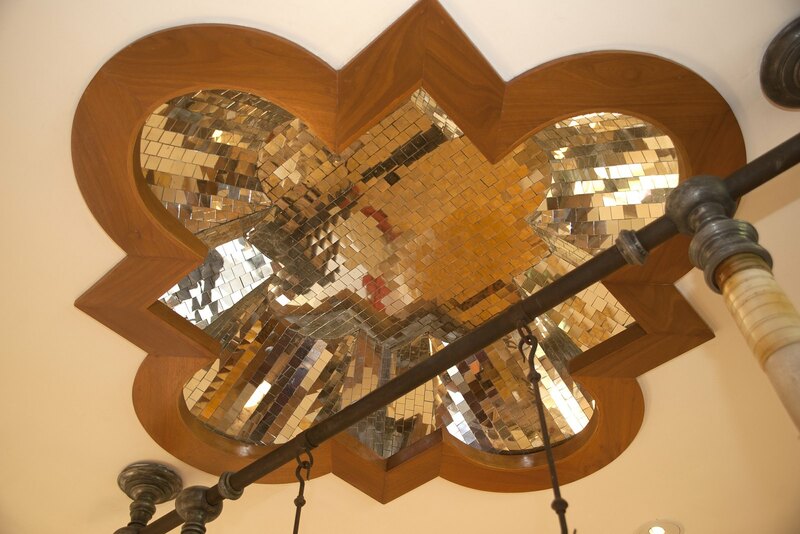 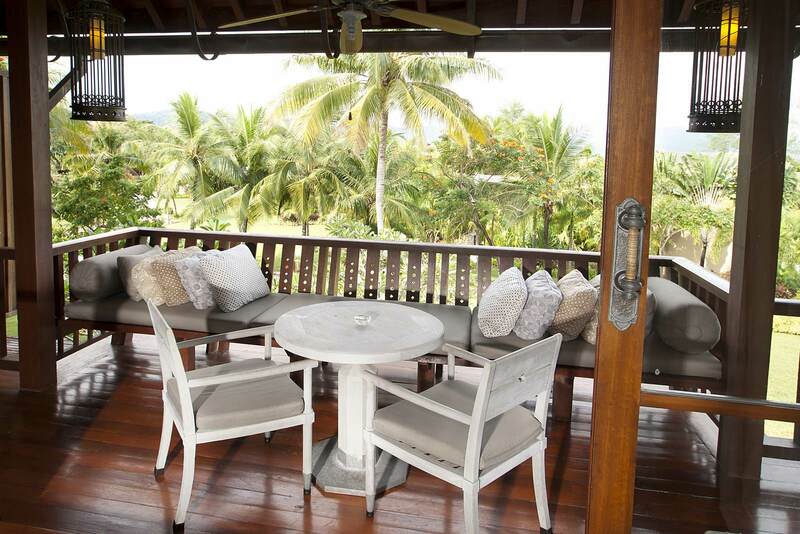 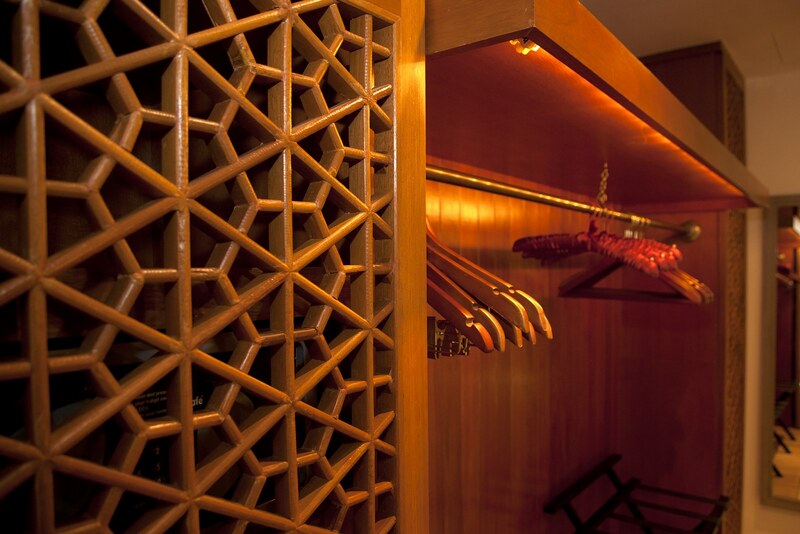 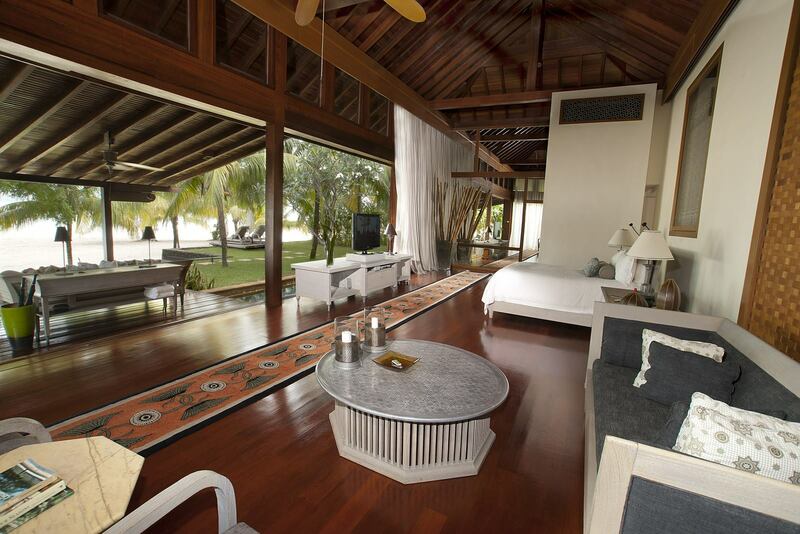 Latticed timber screens and Moorish architectural features are recurring themes in this resort. 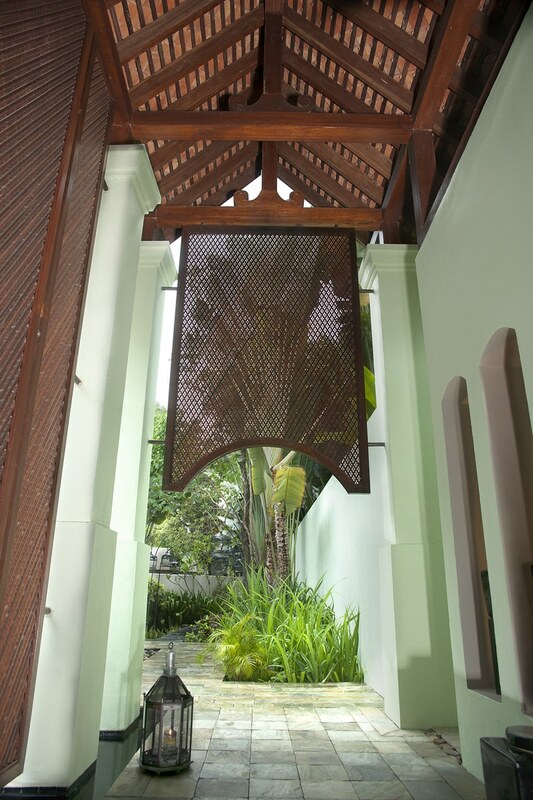 High walls with plenty of indoor courtyards to provide privacy are typical characteristics of built-forms adopting Moorish architecture. 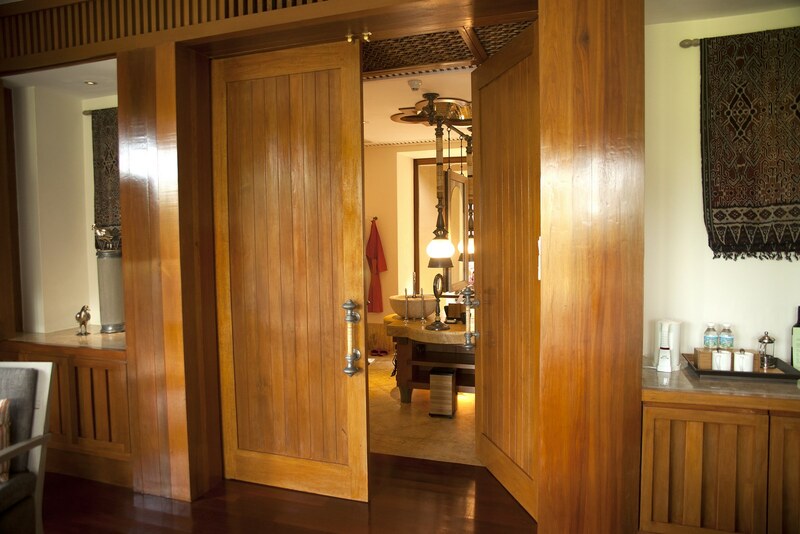 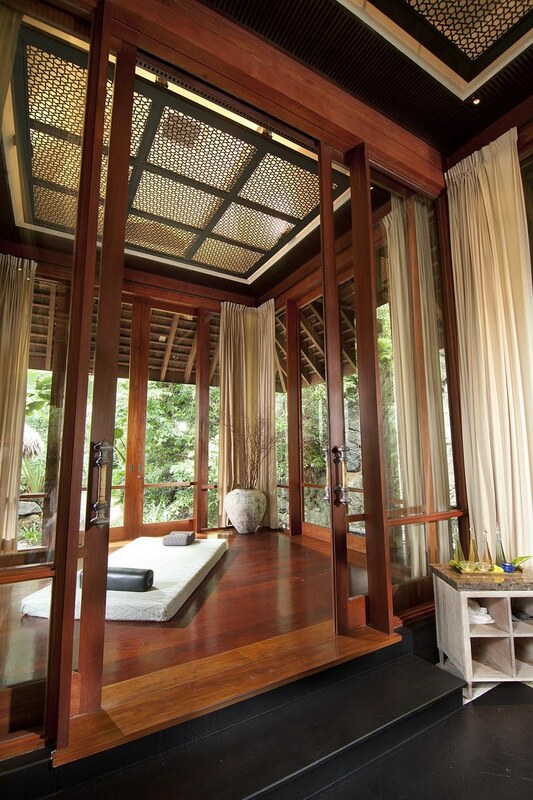 The resort’s spa consultation room is located between its reception and outdoor floating pavilions. 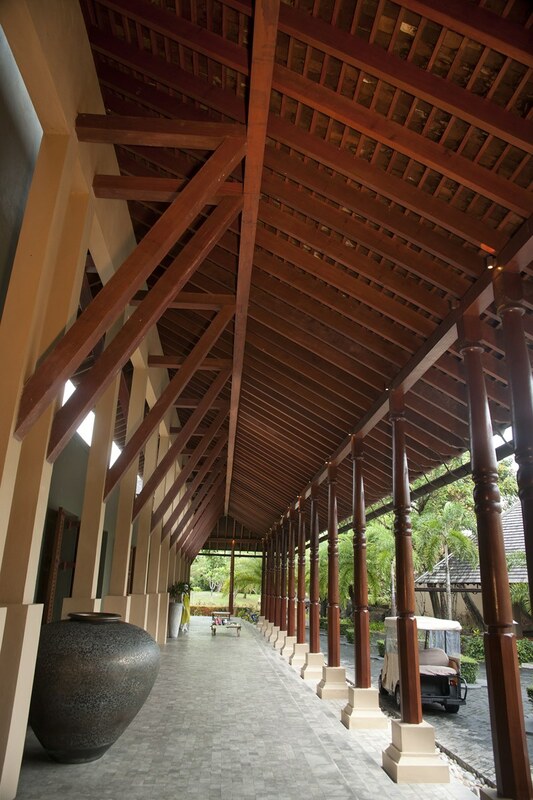 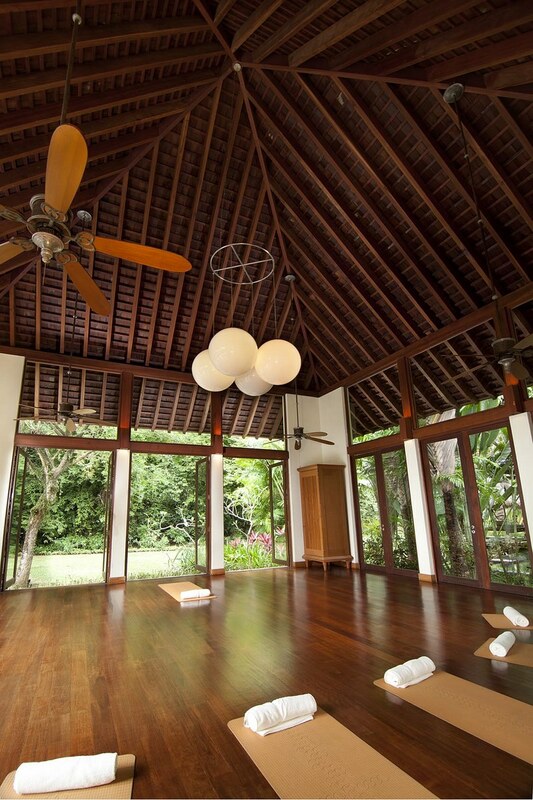 The spa consultation area sports a lattice of chengal rafters and battens beneath a fibreglass roof. 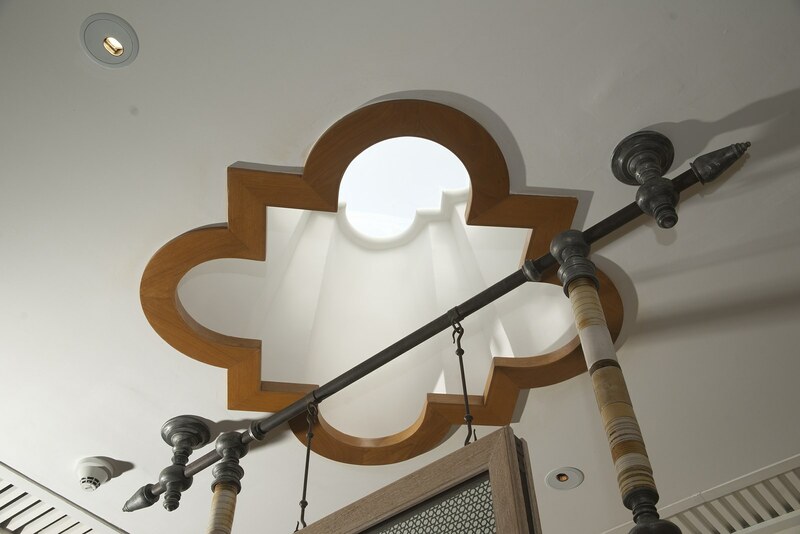 This roofing installation is not only structural but also serves as a filter for the otherwise too intense sunlight streaming into the double-volumed space. 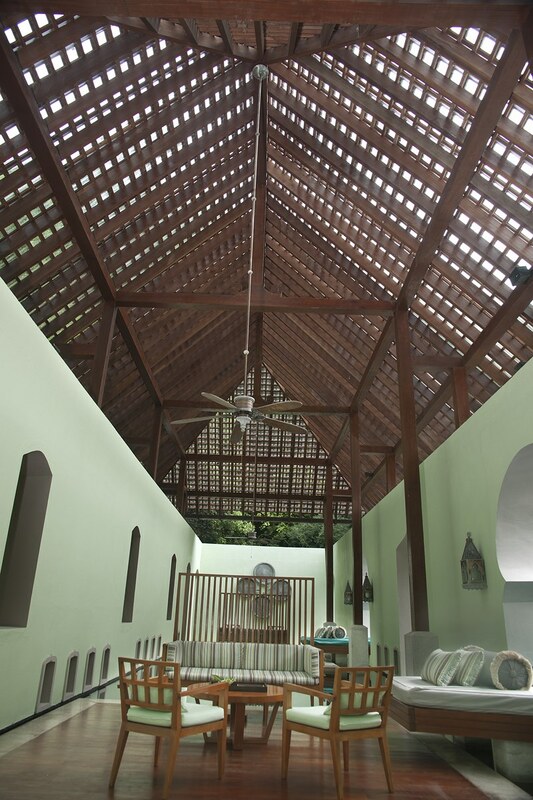 The roof is asymmetrically held up by a painted masonry wall on one side, and square timber columns on masonry piers on the other.The roofing structure frames the pastel-coloured walls to provide an uplifting yet calming space for consultation and preparation before any spa treatments. 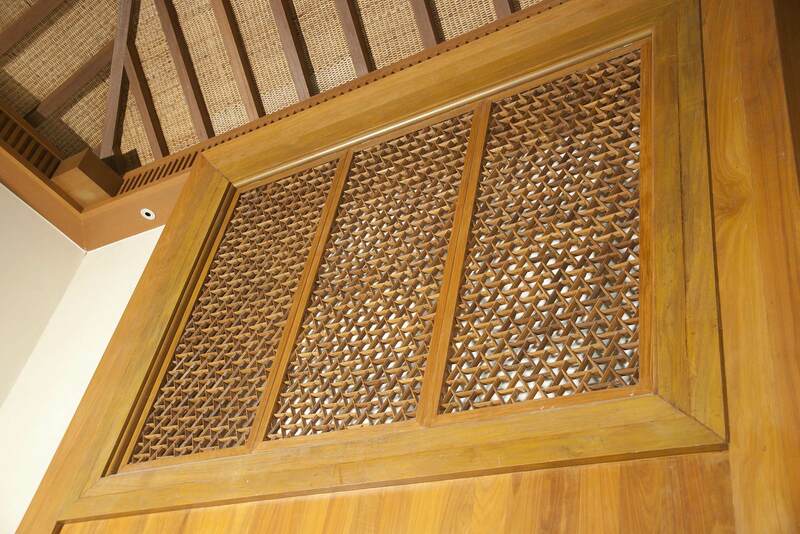 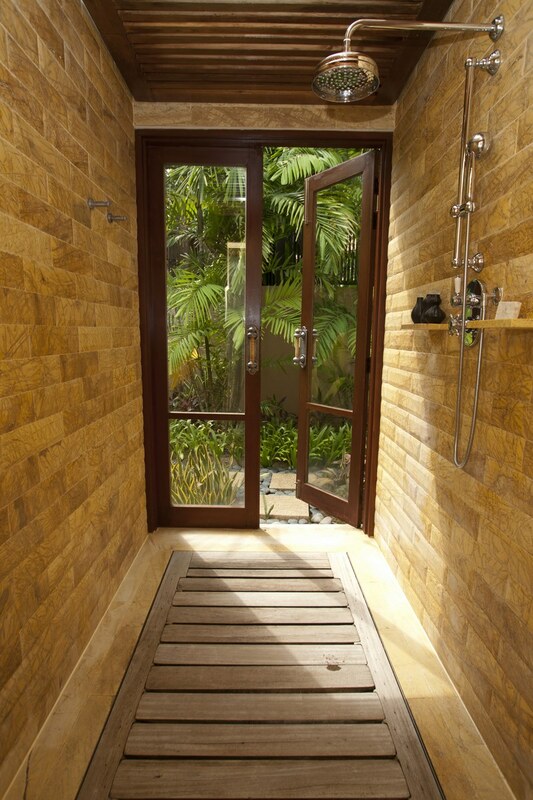 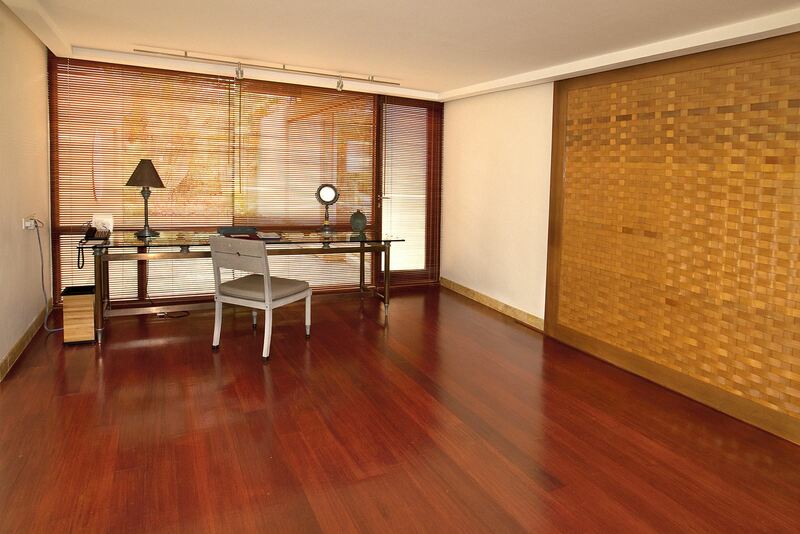 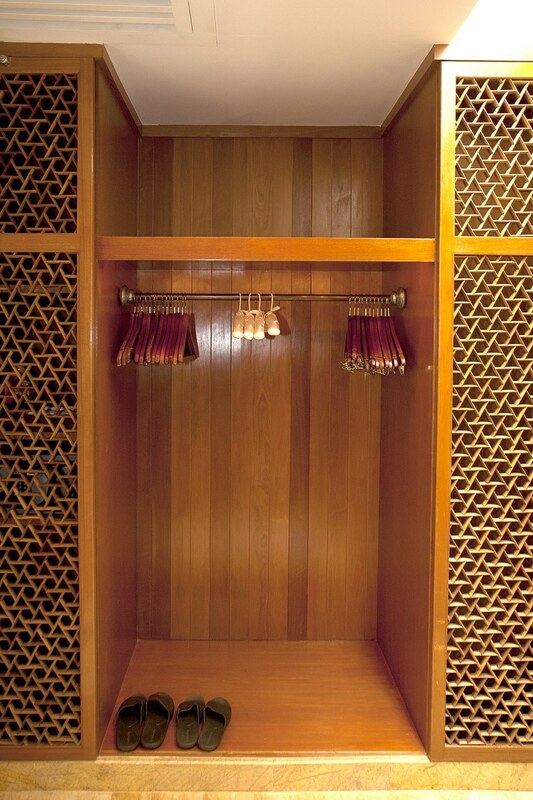 These are complemented by the judicious use of timber in slats as simple screens and the polished balau flooring.